Cadillac sales are suffering as the brand begins its turnaround plan and discounts shrivel. Cadillac's sales funk comes amid a strong growth market for luxury brands. "As down as I am about the recent sales and the supply being what it is, I'm much more optimistic about this franchise than I have been in years. I really think there's light at the end of the tunnel. And it's not an oncoming train." De Nysschen: Warned dealers that sales would get worse before they get better. 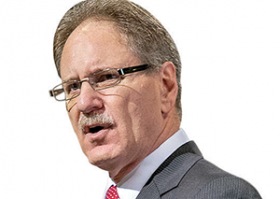 DETROIT -- In one of his first meetings with dealers after getting Cadillac's top job last summer, Johan de Nysschen warned that sales would get worse before they get better. Now, many dealers are getting a glimpse of what "worse" looks like. Some missed out on lucrative incentive cash in the first quarter because they fell short of sales targets under a General Motors incentive program. Dealers in lease-heavy markets such as the Northeast and Midwest were especially hard-hit. Consumer discounts have shriveled, too. Cadillac did dangle big incentives and lease deals in late 2014 and early this year to clear a glut of ATS and CTS sedans. But those largely have dried up on 2015 models. Cadillac marketing chief Uwe Ellinghaus acknowledged in an interview last month that April would be "the first month where we see the natural demand for ATS and CTS." The results weren't promising: ATS sales last month fell 23 percent, while CTS deliveries plunged 47 percent. It's a new reality for Cadillac dealers, one that de Nysschen has clearly and frequently tele-graphed since his arrival. Cadillac sales are suffering as the former Infiniti and Audi chief executes the early phases of his brand turnaround plan, which hinges on restrained supply and modest incentives. Putting an end to $249-per-month lease deals and late-month fire sales will halt the erosion of Cadillac's resale values and image, the thinking goes. In time, better marketing and a product onslaught planned through 2020 are supposed to rehabilitate the brand and put it on the shopping lists of BMW, Mercedes or Audi owners. Any Cadillac dealer likely will say he or she supports that vision of the future. But the dealers are worried about how long the transition will take -- and whether it will materialize at all. Meanwhile, the sales funk amid one of the best luxury markets in memory is a downer, especially at stand-alone Cadillac dealerships. "The dealer council has a lot of faith in Johan's long-term plan," says Keith Harvey, a member of Cadillac's National Dealer Council. "But the sales decline is a bit of a tough pill to swallow with the industry rocking right now." Harvey is executive manager at Gold Coast Cadillac in Oakhurst, N.J., one of the nation's highest-volume Cadillac stores, which has experienced a 30 percent sales slide through April. He says lease-heavy stores like his -- where leasing accounts for more than 80 percent of sales -- have been hurt as Cadillac tamed ATS and CTS lease deals. For now, Harvey says Gold Coast will lean on booming Escalade sales, which have been padding many Cadillac dealers' bottom lines since the redesigned model launched a year ago. Cadillac dealers also are encouraged by a rebound in SRX crossover sales, rejuvenated by the recent introduction of an attractive two-year lease. It's meant to sustain demand for Cadillac's top-selling nameplate until its successor, to be named XT5, comes out next spring. Cadillac sales rebounded in April with a 14 percent jump, the brand's first double-digit sales gain in 18 months. Dealers say the numbers were aided by a change in the way Cadillac runs its loaner fleet for service customers. It recently began counting those vehicles as sold when dealers put them into loaner service, instead of a few months later, after they come out of the courtesy fleet for sale. 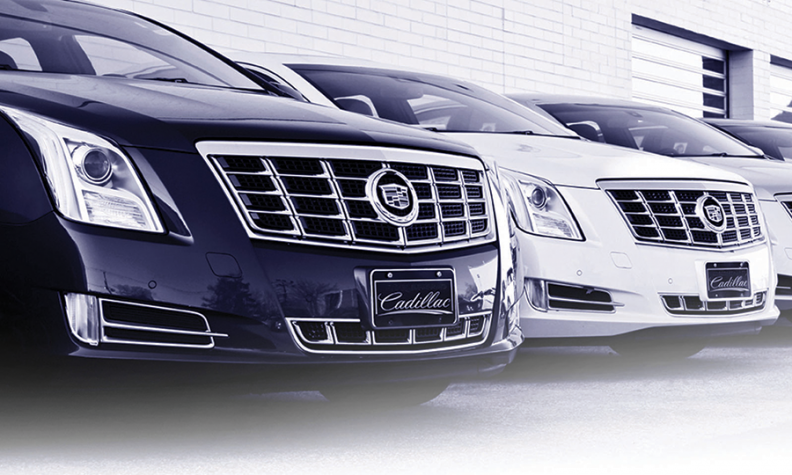 The April sales uptick helped Cadillac claw back to near de Nysschen's goal of flat sales for the year. (They're down 1 percent through four months.) Other luxury brands are recording healthy gains, including BMW (8.1 percent), Mercedes-Benz (9 percent), Audi (12 percent) and Lexus (17 percent). Meanwhile, de Nysschen has been traveling to regional dealer meetings to reinforce his message. Bill Walsh, who has a Cadillac franchise and 16 others at Bill Walsh Automotive Group in Ottawa, Ill., says he left a recent Chicago dealer meeting feeling good about de Nysschen's plans for future product and marketing. "As down as I am about the recent sales and the supply being what it is, I'm much more optimistic about this franchise than I have been in years," Walsh said. "I really think there's light at the end of the tunnel. And it's not an oncoming train."